After six months of hard and very secret work, I think the time has come to announce that my very good friend and previous collaborator, Mr James Dolan and I, have re-animated our original sinister organisation “Ordo ab Chao” into a new-millennium high tech version, that we call “ORDO AB KHAO“. The reason for this is that we have started work on a new project, called “Aunty – A Metaphysical Mystery”. It is a computer game. Now we are well under way in its development, and are currently seeking forms of funding so that one or both of us can work on it full-time. 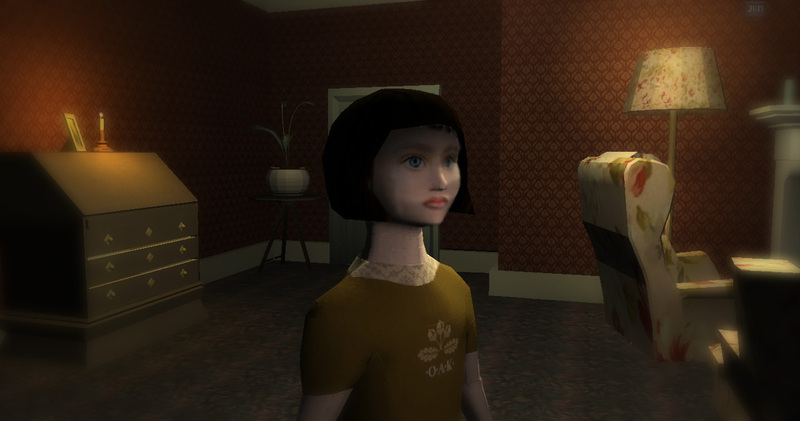 The game concerns a child who wakes in a strange house that she can´t remember having been before, despite the friendly old lady who looks after her, telling her that shes “Aunty”.